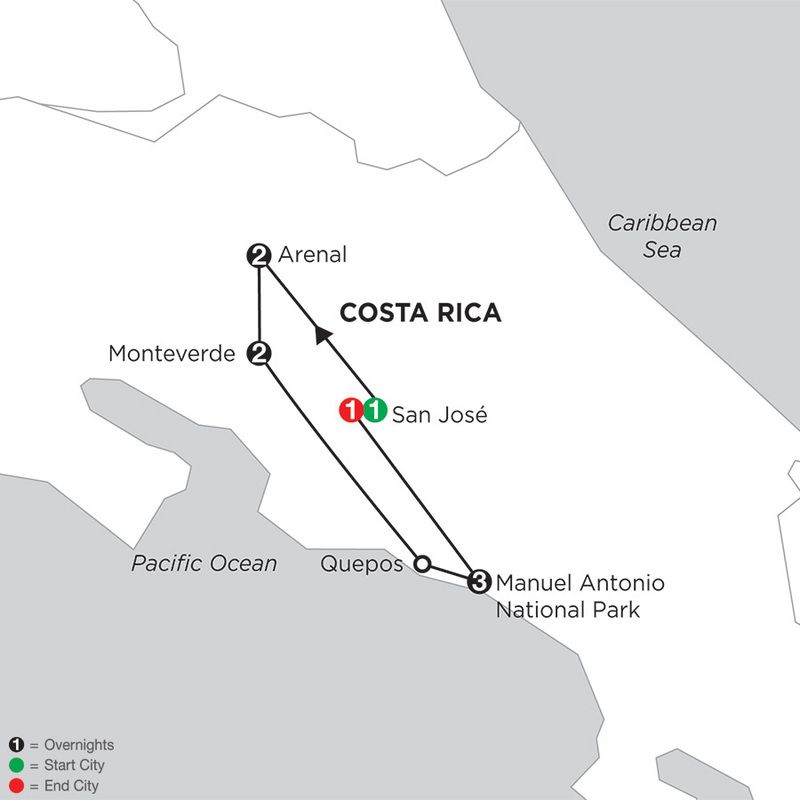 The smallest of Costa Rica's national parks, Manuel Antonio is the country's second-most visited conservation area. 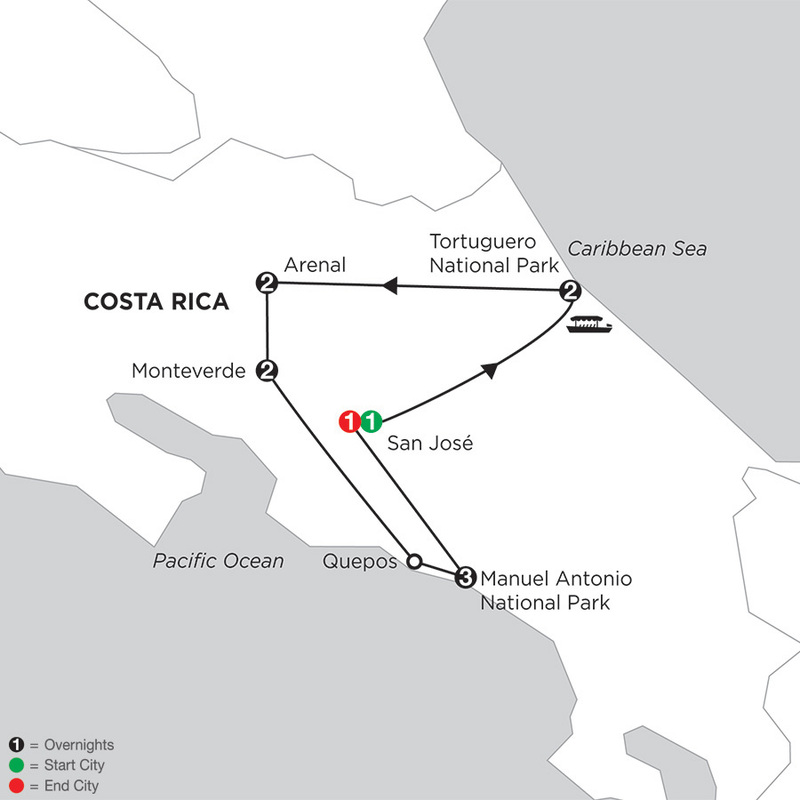 Located on the Pacific Coast, it is the natural habitat of species including the endangered endemic squirrel monkey, white-faced capuchin monkey, three-toed sloths, coatis, pelicans, and kingfishers. Dense mangrove swamps filled with three different species-red mangrove, buttonwood mangrove, and white mangrove-add to the biodiversity of the region. Activities include Naturalist-led jungle walks, canopy tours, deep-sea fishing, diving, kayaking, and mountain biking.